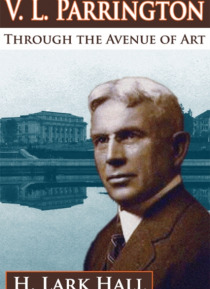 H. Lark Hall presents the first comprehensive biography of Vernon Louis Parrington (1871-1929). The recipient of the 1928 Pulitzer Prize in history for the first two volumes of his Main Currents in American Thought, Parrington remains one of the most influential literary and historical scholars of the early twentieth century.Parrington was a man in search of a personal myth. He found his self-imag… e successively mirrored in Victorian novels, painting, poetry, populism, religion, the arts and crafts movement, American literature, and American history. These changes were also reflected in his teaching as a professor of English - at the College of Emporia, the University of Oklahoma, and the University of Washington. Published late in his career, the two volumes of Main Currents represented the culmination of his search.Drawing upon his personal papers - including correspondence, diaries, and student course work, Main Currents chapter drafts, and other unpublished writings - Hall traces Parrington's intellectual development from his Midwestern childhood through his mid-life engagement with English poet and artist William Morris, then from the radical impact of "e;the new history"e; to the tempered post World War One reflection of his career at the University of Washington. Hall's reinterpretation of Main Currents emphasizes Parrington's concern with the drama of the life of the mind and links his historical viewpoint to his own personal history.